See scan - perfect condition. This is a nice and rare Finland / Finish NOC athlete participation medal presented to each participant during the 1952 Summer Olympics held in Helsinki / Helsingfors. 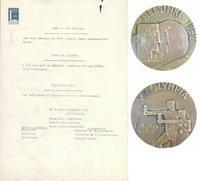 The medal comes with original award certificate / presentation document from the Organizing Committee of the Games and it is rare to find such a documented set. 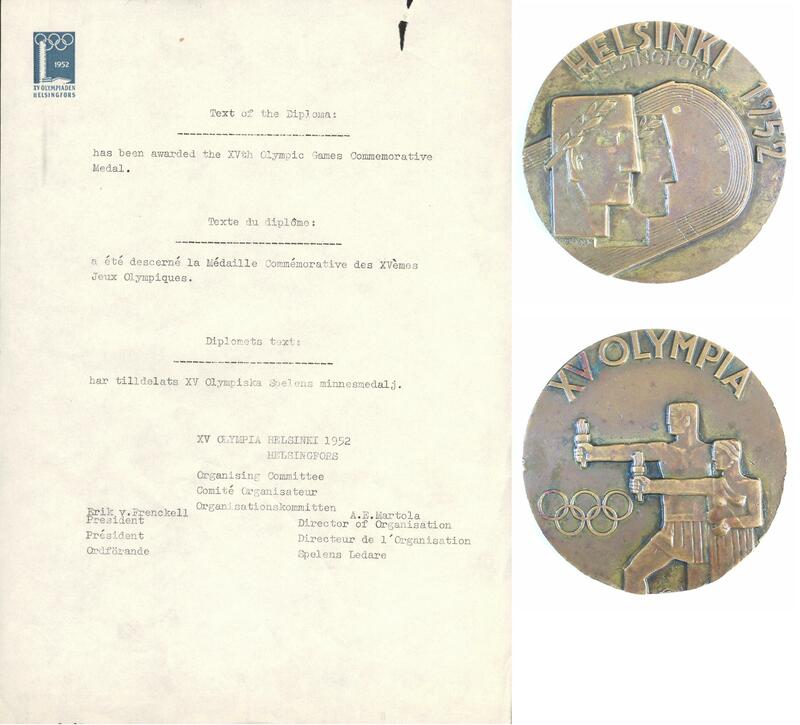 The award certificate doc is printed on the original Helsinki Olympic letterhead with the 1952 emblem at top left corner. Nice sports and Olympic memorabilia collector piece and one of the rare Olympic medals and documented sets.